Submitted by thedoughycoed on March 10, 2015 – 3:27pm. I’m home for spring break, which means I’m without my starter and my scale. I’ve been wanting to try the tangzhong method, and I found a recipe that used cups so I could make it at home (http://www.instructables.com/id/Asian-Sweet-Bread-Hong-Kong-Pai-Bao-Hokkaido-Mil/). I substituted 2 cups of white whole wheat flour for some of the bread flour, and covered the loaf with foil after 15 minutes.This dough takes a lot of mixing, most recipes I’ve seen range from 20-30 minutes, and they are not kidding. 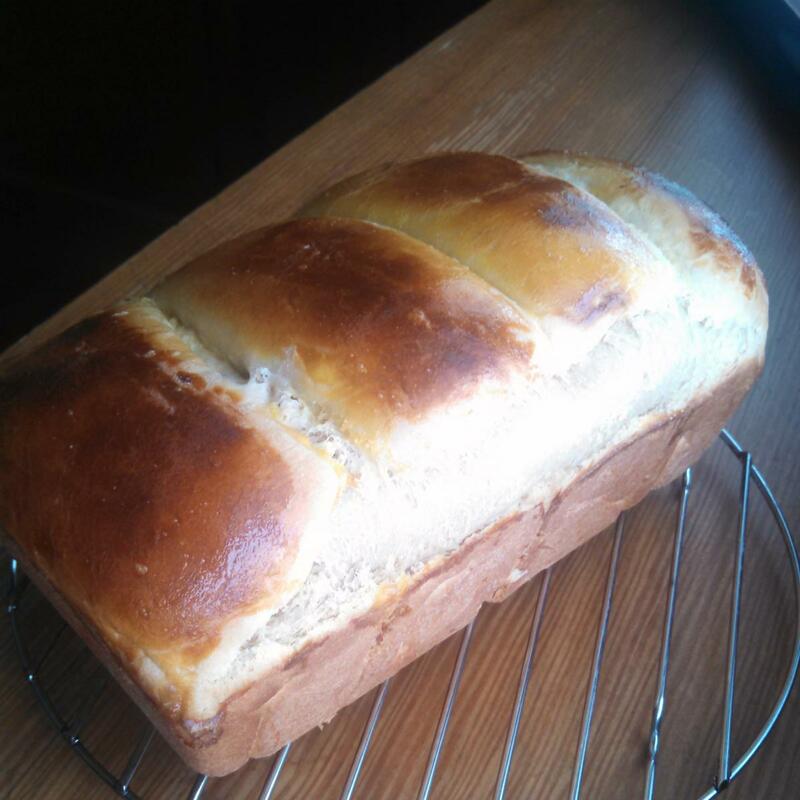 The oven spring was amazing, which I think can be at least partially attributed to my mom’s new convection oven. I couldn’t bring myself to tear apart this pretty loaf, but believe me, it’s super soft and shreddable. 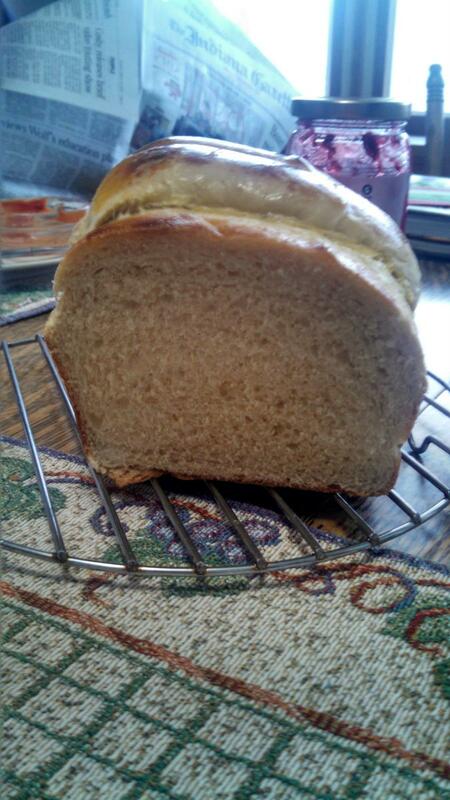 My family is originally Pennyslvania Dutch, and my dad loves the shiny-topped, sweet, and fluffy “Amish” white breads, so it was a huge compliment when he compared my bread to an Amish loaf. He has decided to call it Kamikaze bread, partially because he forgot the name, and partially because he thinks he’s funny.